What is a Chemical Spill? 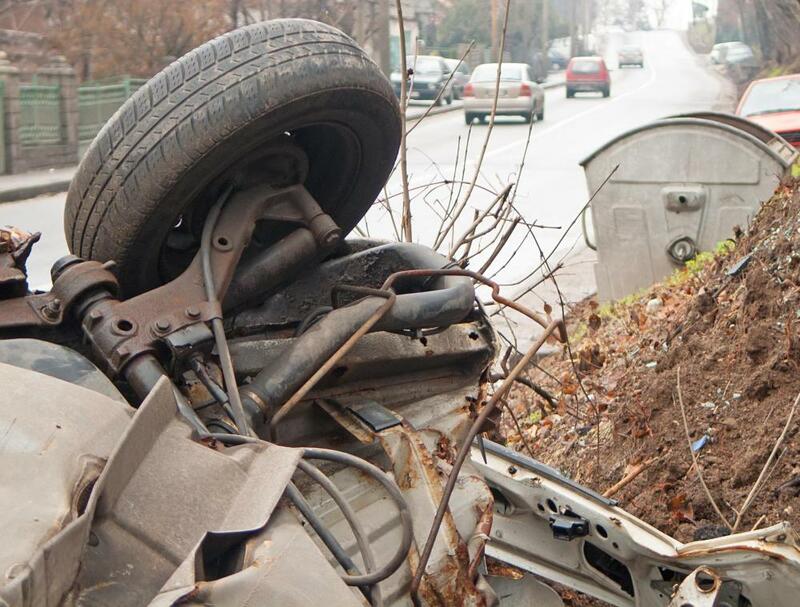 Chemical spills caused by a vehicle accident must be cleaned up quickly to prevent exposure to other cars and drivers. 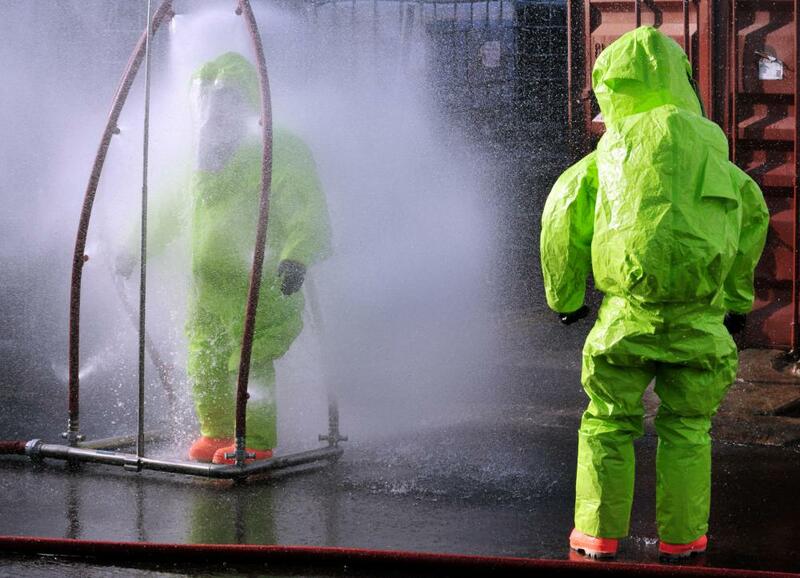 Workers involved with chemical spills wear specialized suits to protect them from hazardous materials. 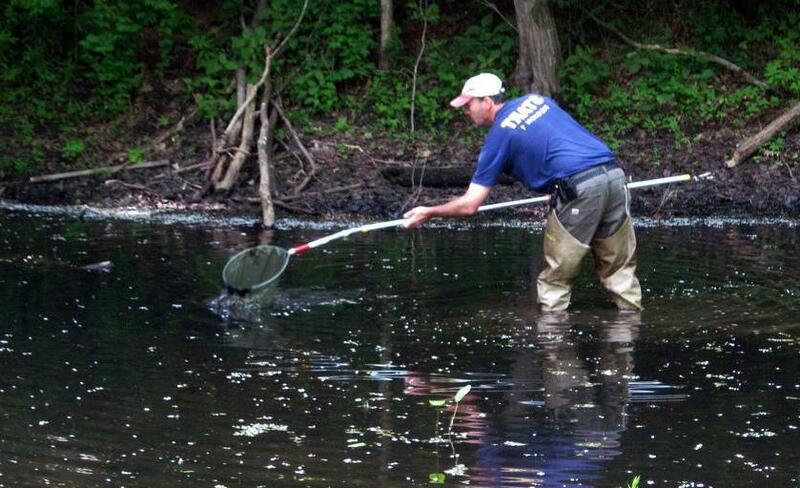 Chemicals can easily contaminate waterways. When a chemical spill occurs, the first step in the response is determining which chemical was involved, so that the responders know how dangerous the chemical is, and what kind of precautions need to be used around it. The next step is an attempt to neutralize the spill so that it is safe to work with, and isolating people who were exposed to the spill so that they can be decontaminated and evaluated for medical problems. After the immediate issues have been dealt with, the responders may discuss the long-term repercussions of the spill and ways to deal with them. For example, a spill might contaminate a waterway, requiring the provision of water supplies until the waterway has been cleaned. Once the spill has been controlled, a meeting may be held to discuss what caused the spill, and how it can be prevented in the future. In scientific labs, there is usually a strict protocol in place for dealing with a chemical spill, which includes locking down the area so that the chemical cannot spread. Many labs have shower and eyewash stations so that people exposed to chemicals can quickly remove them from their bodies, and neutralizers may be kept close to hand to control the spread of chemical spills. In a large lab, a special team may be called in to deal with chemical spills, while in smaller labs, a supervisor or safety officer directs the cleanup. Large scale chemical spills require a much larger response, due to concerns about the potential for the chemicals to be released into the environment at large. A chemical accident or spill could potentially kill or seriously injure hundreds or thousands of people and animals, while damaging farmland, buildings, and other spaces. Responses to large spills include evacuation plans and the use of specialized cleanup teams, which often consist of government employees who are trained to deal with spills. The cleanup effort can also get extremely expensive, which is when investigation into the cause of the chemical spill becomes critical, as governments do not want to be left with the bill. What Are the Different Types of Chemical Plant Equipment? What is the Average Life Expectancy of the Exxon Valdez Clean-Up Crew? Laboratories often have a set of rules for chemical safety to prevent spills, but when they do happen, they can be cleaned easily through spill containment, among other techniques. larger scale problems, such as oil spills, are a much bigger problem and can take much longer to solve. Often, chemical spills are either exaggerated or downplayed in the press, depending on the power and popularity of the country, government, or company involved in the spill. No matter what, though, it is safe to assume chemical spill clean up is never a simple process.